BRP (Bombardier Recreational Products) is the parent company of Evinrude Outboards, Johnson Outboards and OMC Sterndrive and Inboard marine engines. 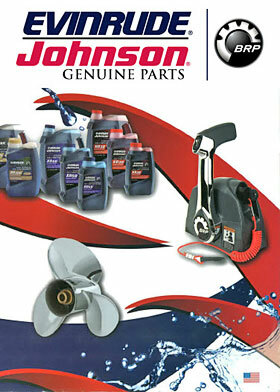 BRP branded parts are original equipment manufacturer (OEM) parts for Johnson, Evinrude and OMC. Do you need parts not listed in these application guides? See our complete Johnson, Evinrude and OMC engine diagrams. Please see our Model Number Reference Guide if you aren't sure about the year or model of your engine.